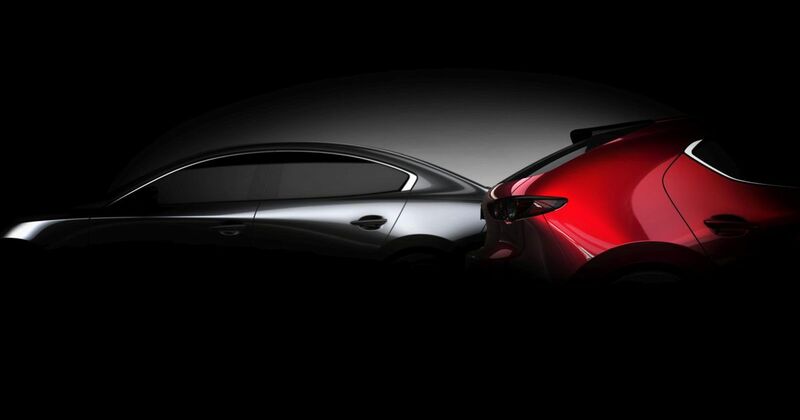 Here it is, the all-new Mazda 3. Yes, we know you can’t see a whole lot of the saloon and hatchback versions of the car in this darkened teaser image, but there’s just about enough of the hatch’s rump shown to hint that the styling should closely follow that of the Kai concept, which was revealed in Tokyo last year. Just take a look at the image of the show car below, and you’ll see why that’s a very good thing. It clearly won’t have such gigantic wheels and we can see that the uncovered rear light clusters have gone (they looked great on the concept, but just imagine cleaning them…), but we’re hopeful that the curvaceous shape will be retained. 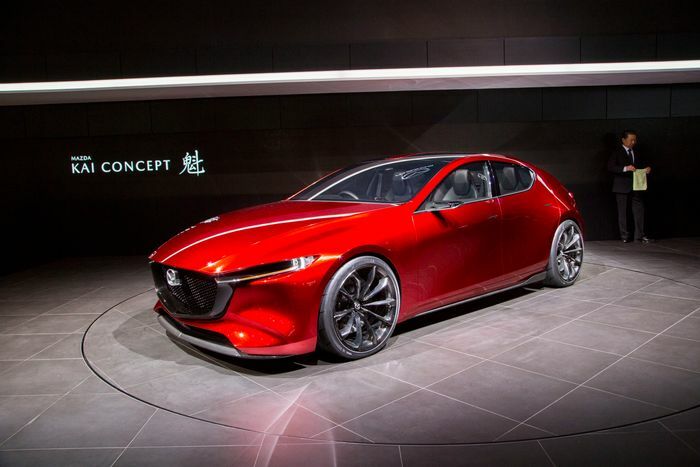 We’ll know for sure when the car makes its public debut, confirmed to be at the LA Auto Show in a few weeks.